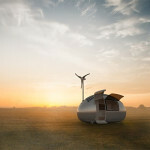 Excitement and anticipation over the innovative eco-friendly, pod-like micro-home dubbed Ecocapsule started back in May when they were first introduced to the public. 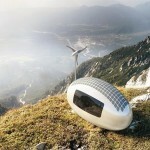 The units are designed by Nice Architects and are totally off-grid, powered by solar and wind energy. 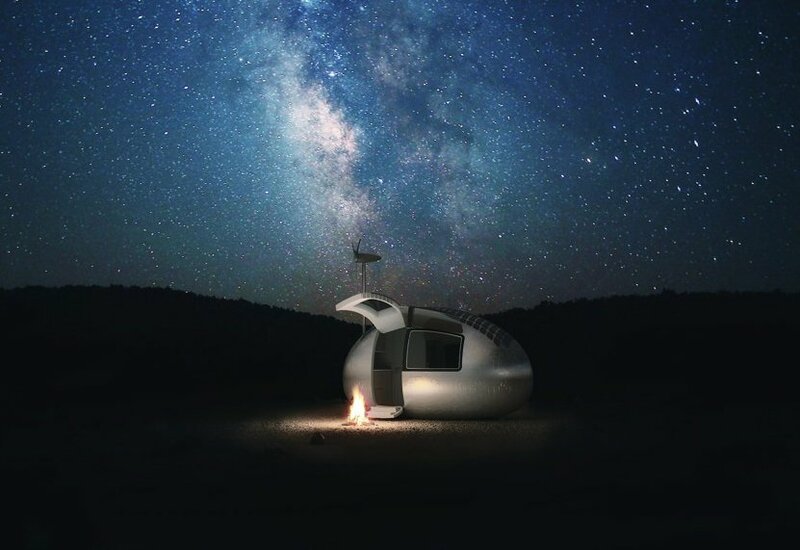 They’re finally available for preorder, and as one of the most efficient and adaptable housing solutions out there, we can’t wait to see them in use. 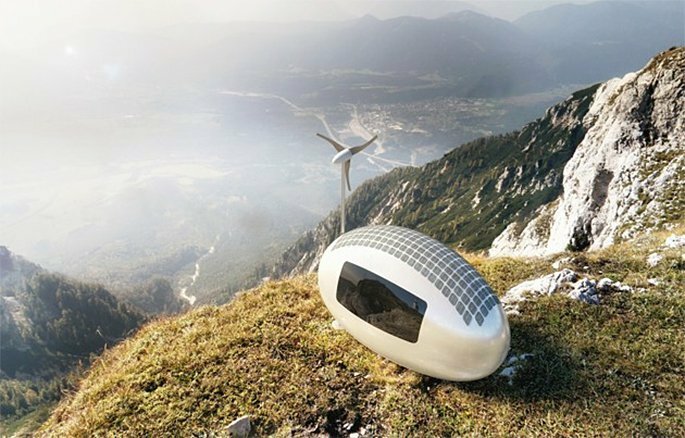 The Ecocapsule features an aerodynamic egg-like shape with integrated solar panels, topped with a 750-watt, fully retractable wind turbine. 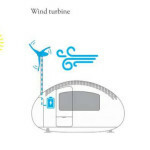 The curved shape is said to aid in rainwater and dew collection for use in the home, and built-in surface membrane water filters give the pod the ability to be plopped just about anywhere there’s a water source. 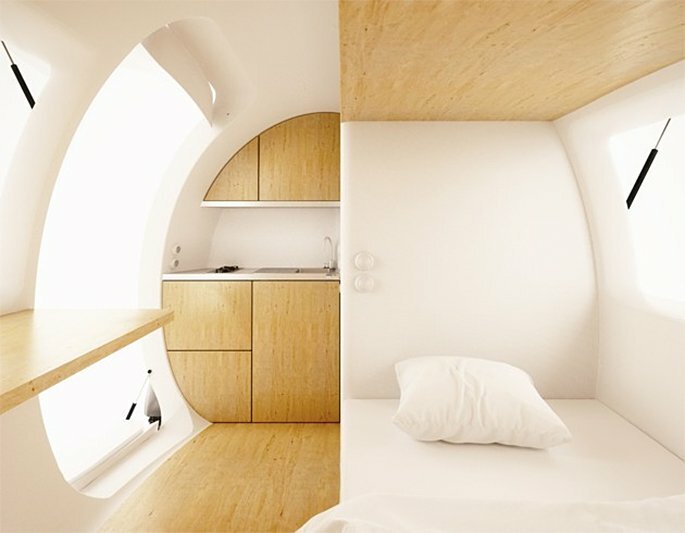 The walls are also super-insulated for extreme climates, and you can even charge your electric car with its battery as you tow it. 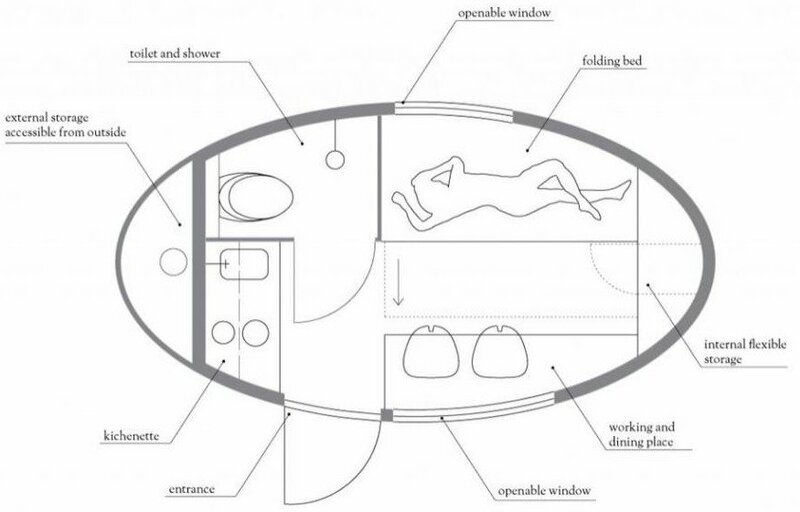 The units measure 14.6 feet long and 7.4 feet wide to comfortably fit two adults. 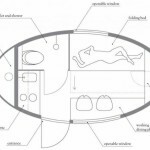 Each mobile home includes a kitchenette with a two-burner stove, a toilet, shower with hot water, and a sofa that can be converted into a double bed and desk area. 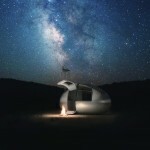 There are currently 50 units available for pre-sale, priced just over $87,000 and requiring a deposit of about $2,200. 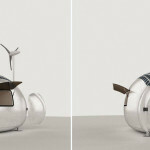 The Ecocapsule team has also promised that a more affordable version will be made available as soon as the price of the technology being used becomes less expensive. 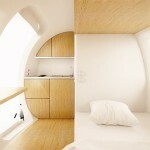 See more from Nice Architects here. 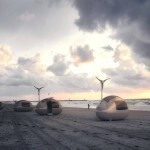 Futuristic Pod Powered by the Wind and Sun–a Viable Housing Solution? 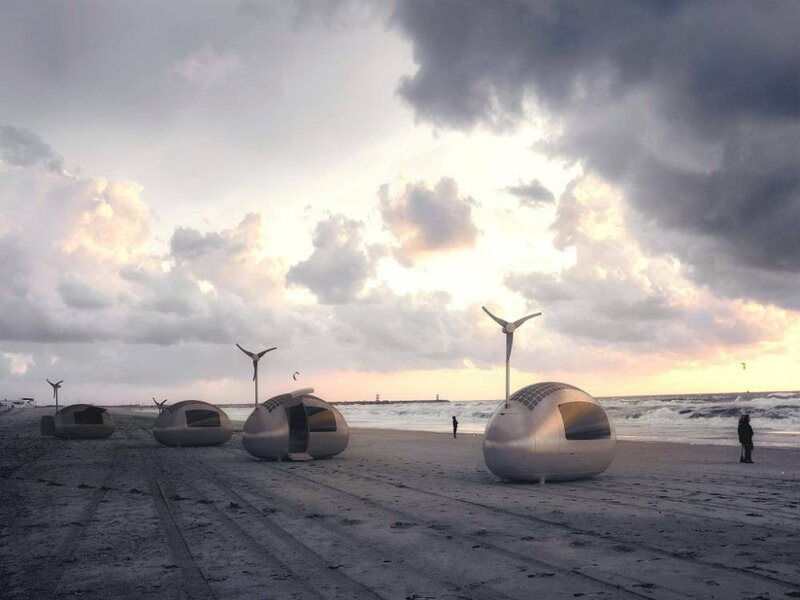 Could These Portable Temporary Homes Help Solve NYC’s Affordable Housing Crisis?